The best burger on the planet, for the planet! Made with protein packed beans, enriched with fresh, organic Royal Kombu and served on the one and only green Weed Bun. 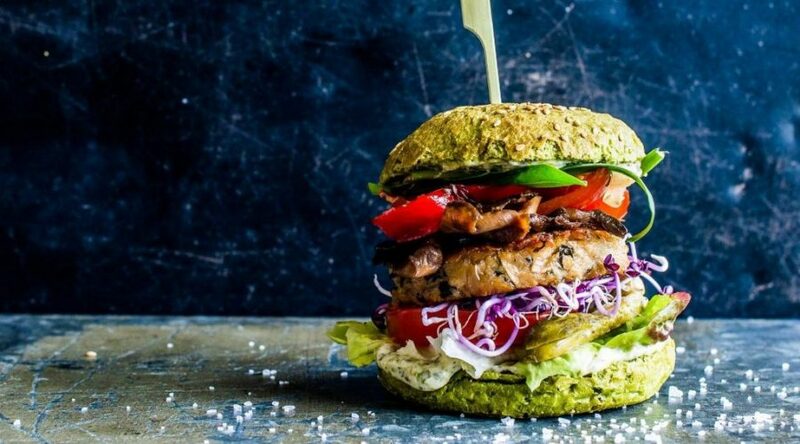 The Dutch Weed Burger is one of the healthiest burgers on the planet, with seaweed as the key flavour maker. The juicy patty is made of briny soy shreds and Royal Kombu, a tasty and healthy winter weed, sustainably cultivated in the Dutch region of Zeeland. The crispy O-mega bun colours bright green, due to the superfood chlorella, a micro-algae packed with nutritious proteins and Omega acids. The finishing touch? Our creamy Weed Sauce, enriched with Sea Lettuce, a fresh summer weed that brings a nice freshness to this healthy snack. Find out where you’ll have your Dutch Weed Burger closest by or head over to The Dutch Weed Burger Joint for the best experience in Amsterdam! The Dutch Weed Burger is entirely palm oil free, vegetarian, vegan, kosher and halal. Virtually everyone can enjoy it! We use soy beans from controlled cultivation in mostly Europe (75%) and North America, obviously NON-GMO. Right now we’re even testing soy from Dutch soil! Our Weed Sauce is made from organic ingredients and enriched with Sea Lettuce. We’re continuously working on optimizing our entire production cycle to make our products as sustainable as possible. EAT WEED LIVE LONG!